Most companies agree that people are their most valuable assets. What they fail to realize is that for today’s worker, salaries are more of a threshold than a scorecard. In fact, there are many more effective ways to keep your talent happy and engaged. Company perks remain a major opportunity for most companies, who aren’t taking full advantage of the appeal of non-monetary benefits for most employees. A recent industry study reported that 48% of employees would weigh company benefits and perks, including the availability of snacks, in their decision to find their next job. This is also true when working with temporary workers since perks will more than like determine if they stay after the assignment is done. Using data from a recent Glassdoor survey, we’ve compiled the sixteen best employee perks and benefits that offer the biggest bang for your buck into the infographic below. 40% of respondents to Glassdoor’s Q3 2015 employment confidence survey said that they value health insurance more than a pay raise. The reasons for this are manifold. Of course, until very recently, there was no affordable public health insurance option, and the only feasible way for most Americans to afford insurance was through their employer. 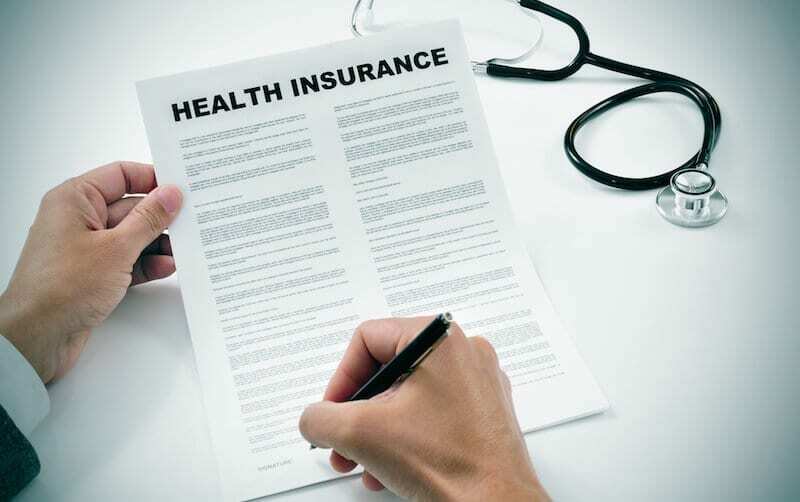 Employee-sponsored coverage is still generally much less expensive than public or private insurance. But most of all, there is a peace of mind that comes with knowing that you and your loved ones are covered in the event of a major accident or illness, and you really can’t put a price on that. There are perks that come with health insurance on the employer side as well. Companies benefit from reduced absenteeism due to illness (thanks to free or nearly-free preventive care), as well as higher engagement due to the fact that employer-sponsored health insurance gives employees a sense that they are cared for and appreciated. It’s been said that time is our most valuable commodity. Similarly, studies have shown that once our basic needs are met, experiences contribute to our long term happiness much more than material things. For these reasons, a preponderance of respondents to Glassdoor’s survey indicated that they valued vacation or paid time off over a salary raise. Many companies have escalated this idea to its logical extreme, and instituted open vacation policies and summer Friday’s off. While it may seem counterintuitive, companies like Netflix and Austin-based Umbel have found that an unlimited vacation policy can have a wide range of benefits, including more productive employees. Don’t be mistaken – an unlimited or “open” vacation policy doesn’t mean that employees can take off half the year and still collect a paycheck. Rather, companies that adopt these policies allow employees as much PTO as they need to recharge as long as they meet deadlines and produce results. Aligning your vacation policy with results rather than basing it on accrual can have a profound effect on your organization’s overall culture. Zen Payroll CEO Joshua Reeves believes that this focus helps create “an ownership mentality,” and finds that an open vacation policy empowers his employees to focus on what’s best both for themselves and for the company. 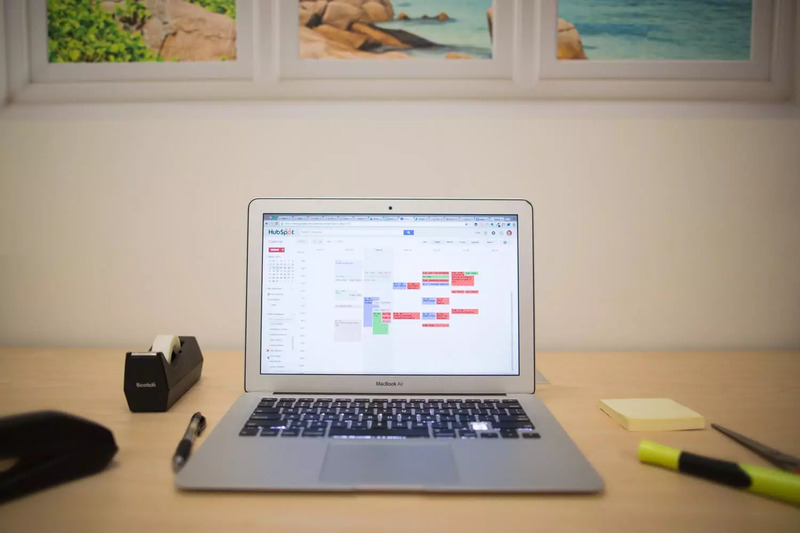 Moreover, an open vacation policy signals to employees that their employer trusts them to keep projects on track and deliver results while being free to take all the time off they need. This trust engenders a feeling of mutual respect between the company and its employees, and the result is a more balanced, more productive workforce. Demian Sellfors, founder of domain and hosting services provider Media Temple, is a strong proponent of sabbaticals. After three years at the company, Media Temple employees are highly encouraged to take a month off to take on new hobbies, experience new cultures in far-flung regions, or participate in service projects closer to home. During this time, they are forbidden from checking work email or working on Media Temple-related projects. Many employees cite this perk as the reason they joined the company. Sabbaticals are gaining in popularity across corporate America, typically lasting five weeks for employees who have been with the company for a minimum of five years. And while five weeks of paid time off might seem like a large chunk of unproductive time, it actually only amounts to 2% of an employee’s time within a five-year span. Plus, employees return refreshed, energized, and with a new perspective they wouldn’t have gained otherwise. This fresh perspective can even result in creative ideas or new market opportunities. As we’ve demonstrated so far, the effectiveness of monetary incentives (particularly salaries) has its limits. However, that’s not to say that monetary incentives as a whole don’t work. The key is to connect monetary rewards to the emotions that keep employees engaged in their work. Performance bonuses are a fantastic way to do just that. By tying the reward to results, performance bonuses give employees a sense of ownership and control. It helps motivate them in their work, and gives them a tangible ownership stake in their role. I.e., if they perform and hit their goals, they will receive a reward – one that they both earned and deserve. Similar to Vacation or PTO, paid sick days give employees back their most valuable commodity – their time – while also letting them know that they are cared for and appreciated. An added benefit? It sets the right tone to keep your office healthy during cold and flu season. We all know cultures in which taking a sick day is seen as a sign of weakness. But offering paid sick days signals to employees that it’s ok to stay home when they’re under the weather. By doing so, contagious employees stay away, and your company is much less likely to be decimated by widespread illness. Again, for many employees, peace of mind is invaluable. 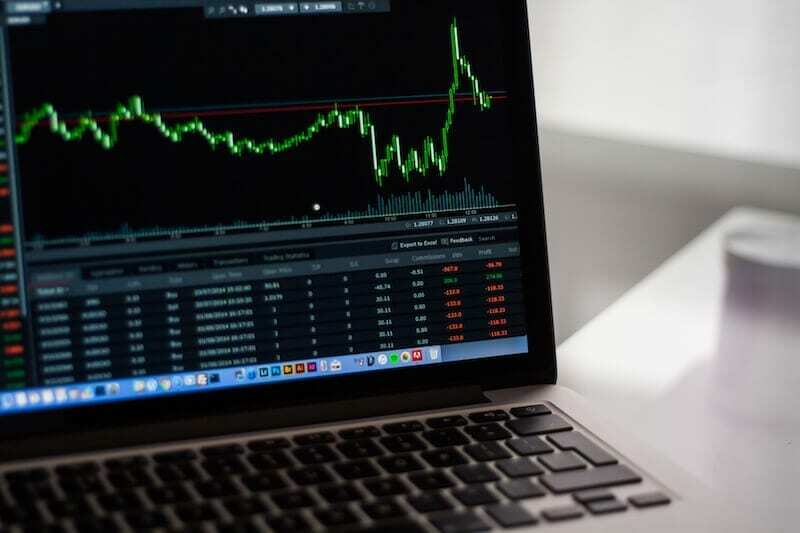 Particularly, those who worked during the financial uncertainty of the Great Recession of the late 2000’s, financial security is a premium benefit. Many employees find personal finance and financial planning a bit of a mystery, and appreciate when their employers help them plan for the future. 401(K)s and other retirement plans are convenient, automatic ways to do just that. 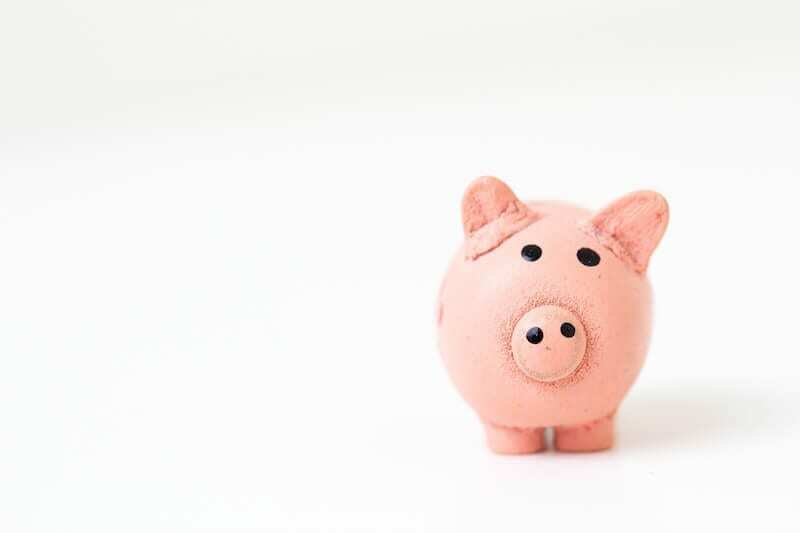 Employers can step their savings game up by subsidizing employee savings, either matching or partially-matching the contributions employee pay into their retirements. Flexibility is increasingly becoming a desired perk for the modern employee, who is trying to balance a myriad of personal and professional responsibilities, including education and familial duties. It’s especially true for employees with children at home. According to the Bureau of Labor Statistics, both parents work in 60% of the households with children in the U.S.
A flexible schedule – including the ability to work from home – is a necessity for these families, who need to be able to juggle multiple responsibilities. Emotionally, affording employees flexibility in their schedule demonstrates that they are trusted partners (not just 9-5ers chained to a desk), and leads to higher engagement. Ultimately, a flexible schedule leads to a greater quality of life. Employees feel like they don’t have to sacrifice their career in order to focus on their family or education – and vice versa. This provides more long-term value than a salary ever could. As we’ve discussed on this blog before, work-life balance is a thing of the past. In fact, it’s an inherently flawed concept. The term “balance” implies that “work” and “life” are countering each other, perpetually at odds. In our eyes, “work-life integration” is a much more accurate description. Increasingly, the expectation – especially from Millennial workers – is that you should be able to be your true self at work. There’s no point in pretending that we have two separate personas, a “professional” you and a “real” you. Part of this new attitude is the idea that the office should be an enjoyable place to be. That’s where unique office perks come in. Why do they matter? Because when you spend the majority of your time in your office, it would be nice if that office was, you know… a place you actually want to be. One of the simplest and easiest perks to provide is food. A recent Harvard Business Review study showed that employees “typically consume one or several meals plus snacks during work hours.” This means that the food options available in the workplace matter a whole lot to the quality of the average office worker’s diet, and by extension, their overall health. Employees will appreciate the gesture. Google is famous for offering healthy, gourmet-quality food choices that its employees love. In fact, in a recent Quora survey, most Googlers cited the food options as the one perk they couldn’t live without. The good news is you don’t have to have Google’s budget to make healthy food options available in your workplace. 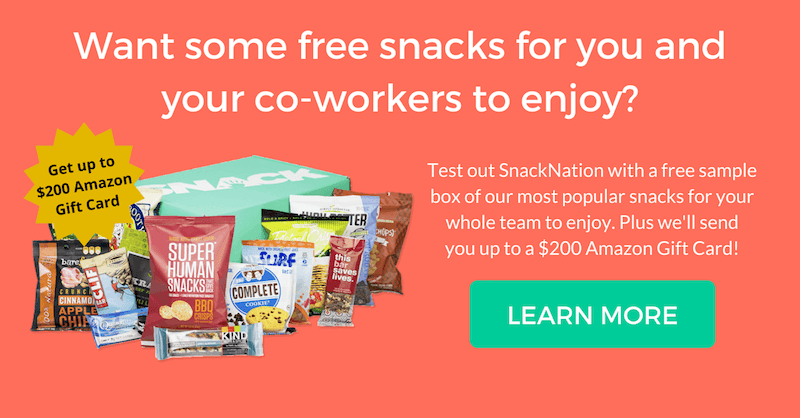 Affordable options like SnackNation bring the healthiest, best-tasting snacks right to your office. Access to healthy snacks in the office will make for happier, healthier, and more productive employees. Focusing on employee health isn’t just a nice gesture, it’s also good business. Companies who invest in health and wellness actually save money in the long run by curbing healthcare costs and reducing productivity-loss due to illness. The same Harvard Business Review study found that on average, employers who invested in comprehensive health and wellness initiatives (including healthy food options) saw a nearly 3-to-1 return in money saved. Healthy snacking can be the foundation of an overarching wellness culture that lets employees know their health is important to your company. This message will also foster loyalty and strengthen the employer-employee relationship. 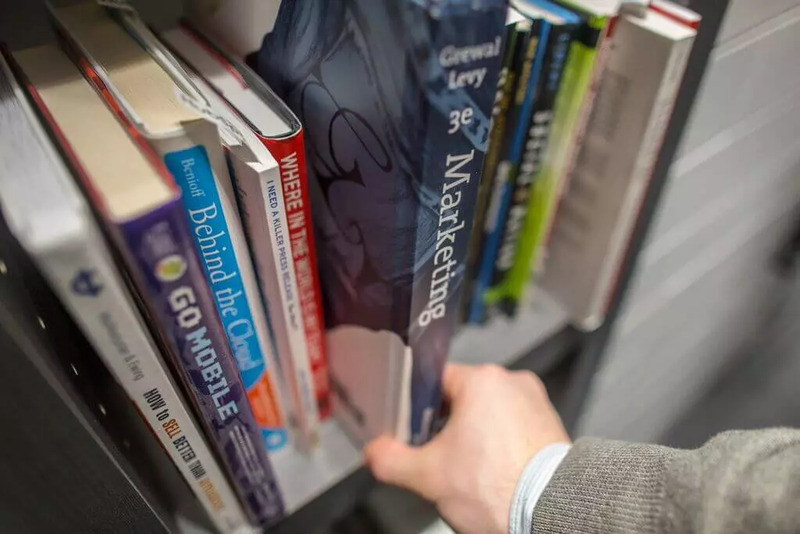 In their book The Alliance, LinkedIn CEO Reid Hoffman and co-authors Ben Casnocha and Chris Yeh lay out how the employer-employee relationship has changed. Lifetime employment, they argue, is no longer possible (nor desirable), and that means both companies and their employees ought to engage in a mutually beneficial relationship modeled after a “tour of duty” in the military. In fact the relationship is moving away from a transactional model and toward one that’s focused on the growth of both parties. What does this mean? Well, it implies an acknowledgement that the tenure of the average employee is likely only going to be 3-5 years, and that the company is responsible for the personal and professional growth of the employee during that time. Employee Development Plans are a perfect way to reflect this changing dynamic and ensure a mutually enriching relationship. At SnackNation we’ve implemented IDPs, or Individual Development Plans. In them, employees work with their managers to identify four personal and four professional goals, as well as a pathway to achieving them. We ask employees where they want to be in five years, and determine the right steps to get there. Bonus: You can download a blank version of our IDP template here (no email required). In our economy, where job-hopping is the norm, employees need to constantly augment their skillsets, and employee development is priceless. Tuition costs have exploded in the last decade. The latest figures by the College Board reveal a 26% increase price increase for tuition and fees for four year private institutions, and a 40% increase for four year public colleges. The numbers for graduate and professional programs are just as grim, with the average tuition for a Top 20 Business School setting you back more than $100K in total, and a comparable law school education costing upwards of $50K per year. But the real kicker is the opportunity cost of not working for 2-3 years, which nearly doubles the actual cost. The beauty of tuition reimbursement – and why it’s so highly valued by so many employees – is that it alleviates both the real and opportunity costs. Employees can simultaneously work and go to school, saving doubly in tuition fees and the opportunity costs of being unemployed. Depending on your business, discounted access to your company’s products or services – or “dogfooding” – can be an exciting perk for employees. The term dogfooding comes from the idea that a company with a good product should be able to “eat its own dog food,” and the practice can make employees feel valued and included. For product managers, early access for employees can even aid in the development process. Many technology companies choose to beta test their products internally first, killing two birds with one stone: employees feel included and “in the know,” while product managers gain invaluable feedback as they get their product ready for launch. Apple, Samsung, and Google have adopted this approach, providing employees with their much-hyped products before testing outside the company. In the same vein, entertainment companies like Discovery Communications hold internal premieres of anticipated programs before they air for the general public. Again, the effect is to make your entire workforce feel involved in the process, and to express gratitude for their contribution to the final product. Picture this: you work in a typical nine-to-five cube farm. You put in a solid 8-10 hours per day at a desk in your demanding, high-stress job. Each day leaves you physically and mentally drained. You have a gym membership, but your commute makes it hard to workout in the morning. and by the time you get home, you are usually too exhausted to move. “Maybe tomorrow…” you say as you dive into your Netflix queue. This cycle repeats day in and day out, until one day you catch yourself in the mirror… and it’s not pretty. If this sounds familiar, you’re not alone. Anyone in today’s modern office environment knows how easy it is to fall into this trap. Sitting for the majority of your day, every day for long periods of time inevitably takes a toll on the body. It’s no surprise that 22% of employees polled in a CareerBuilder survey say on-site fitness centers are their most desired office perk. A 2015 study published in the Annals of Internal Medicine found that the sedentary nature of American work-life is having a deleterious effect on the health of American workers. Sitting for too long at work brings with it a host of negative long term health effects, including increased risk of cardiovascular issues and cancer, as well as chronic conditions like Type 2 diabetes. As an employer, the effect of the sedentary demands placed on workers include increased health care costs and a less productive workforce. But many companies have found ways to fight this trend. Massachusetts-based EMC provides financial incentives for health conscious choices like getting a flu shot or joining a gym. Others, like personal genomics company 23andMe, go a step further, providing onsite gym and workout space, and encouraging their employees to engage in physical activity throughout the day. 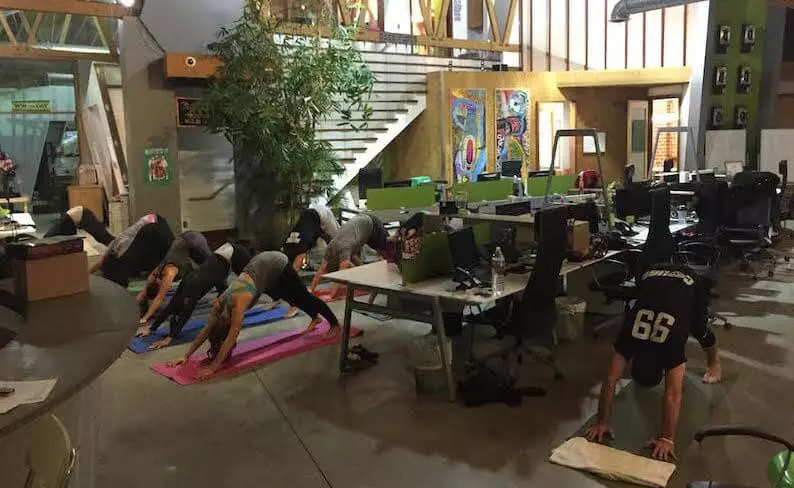 In addition to offering daily onsite fitness sessions that include yoga, Pilates, and strength training, the company also makes treadmill desks available for their employees. If you don’t have the space or money to invest in an onsite gym, there are a number of creative ways to introduce physical activity into the workplace. 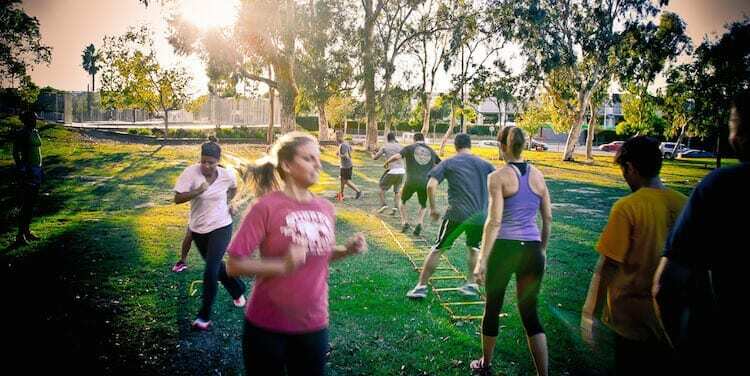 Bringing in a trainer or yoga instructor once or twice a week for group fitness classes at a nearby park can provide a much needed boost. Even something as simple as encouraging daily stretching or walking meetings can have a tremendous impact. But make sure that physical activities are never mandatory. Employees need to feel that they are free to choose their level of engagement in these programs, not matter how good it is for them. Mandatory health programs can make employees feel that they are being dictated to, and will diminish morale. Integrating daily or weekly voluntary exercise activities during work hours signals to employees that their employers care about their health and wellbeing, and this strategy will actually pay dividends in the long run by shaving healthcare costs and keeping employees healthy and productive. Similar to performance bonuses, stock options and equity give employees a real sense of ownership in the success of the business. This helps bolster the emotional connection between employees and their work that’s so important for creating an engaged workforce. Employees have a sense that their working life isn’t a mere transaction, but that they are working to create something bigger than themselves – and that they’ll be rewarded for their success. It’s an unspoken fact that career success often comes with tradeoffs and difficult choices. Professional men and women often feel like they have to choose between a demanding career and a rich family life, and delay starting their families in order to focus on the former. Unfortunately, the company’s gain can be the employee’s loss, as some couples experience fertility problems as a result of waiting. These choices often go unacknowledged by employers, but a few smart companies have developed programs that allow strong work and family lives to coexist. In a bid to attract more top women, Apple recently made headlines by announcing that it will be providing complimentary egg freezing services for its female employees. And many companies, including Microsoft, offer extended maternity and paternity leave that go above and beyond minimum requirements. Offering fertility programs and over-delivering on maternity benefits sends a clear signal to employees that there are more important things in life than work, and investing in them is yet another way to cultivate a culture of respect between employee and employer. Employees will be less stressed, more loyal, and ultimately more productive in return. As we’ve already seen, both parents work in the majority of households with children in the U.S. This means that childcare is non-negotiable for millions of workers. Childcare costs can add up quickly, and anything to alleviate the burden is valuable. It’s not secret. We spend way too much time commuting. According to Texas A&M Transportation Institute’s annual Urban Mobility Scorecard, commuters in major cities spent between 50 and 82 hours in their cars last year. Between rideshares, passes for public transportation, or even shuttle buses, there are a plethora of ways companies can subsidize commuting. All things being equal, an employee will take a job with a short commute over a long one. In fact, she might even take money in exchange for a shorter commute. Commuter assistance can go a long way towards improving their quality of life, and is therefore a perk that moves the needle when it comes to hiring and retention. Hiring for “cultural fit” has been a celebrated concept in the last several years. This basically means evaluating candidates not only for their skills and experience, but for how well they might fit into the organization. And as useful as it can be to make sure that newly hired employees jive well with the established culture, this practice also brings a danger that you’re just creating an army of “cultural clones” (an idea proposed by Adam Grant in his new book Originals). A better practice is to hire for “cultural fit.” This requires auditing your existing culture and actively seek out diverse points of view. In the long run, hiring for cultural fit is a more sustainable practice, and one in which everyone benefits. To add to the insights from Glassdoor, we’ve also compiled some of the biggest opportunities according to our 2017 State of Company Culture Report. This comprehensive study surveyed 586 employees in 26 different industries representing companies of all sizes to take the pulse of company culture in American today. Of course, perks were a big part of the discussion. In the report, we defined “perks” as all the non-monetary perks that companies offer employees. That’s everything from your health insurance plan to free beer on Fridays. As you can imagine, there are a lot of perks and benefits for companies to consider. So which perks should companies and HR departments focus on? Which perks represent the biggest opportunities – the ones that employees really care about, but just aren’t getting? Offering flexible hours is probably the single biggest opportunity when it comes to offering perks that actually make a difference to employees. In our survey, it ranked as the third most important perk, behind health insurance and 401(k) matching. Yet just 46% of companies offer employees some sort of flexibility in their schedule. In our opinion, there’s really no excuse why this perk isn’t more widespread. With the ubiquity of laptops, smartphones, enterprise chat and the like, most office jobs today can be done remotely. One work-from-home day a week will mean a lot to employees, and cost the company virtually nothing. Paid maternity and paternity leave was another big miss for companies. It was the sixth most important perk on our list (out of 15), yet again, less than half of companies provide it. Paid maternity and paternity has a psychological effect that extends to everyone, regardless of their parental status. It signals to employees that you see them as whole people, with lives, families, and priorities outside of work. Employees are clamoring for development. A whopping 80% of respondents in our study said that some form of professional development was either “important” or “very important” to them. What’s more, our data also indicates that growth drives happiness at work. We found that employees with “a lot” of growth opportunities at their job were almost 3x more likely to report being happy at work than those at companies offering no growth opportunities. Happiness at work also correlates to engagement, productivity, and retention. Despite all this, only a little over half of companies actually offer professional development programs to employees. Want more insights like these? Check out our State of Company Culture Report. Today’s employees (especially younger ones) have become accustomed to being catered to, and high-end perks are increasingly expected among workers with the most in-demand skill sets. And while it might seem hard to keep up with the Joneses, there are simpler ways to create an environment that even the most jaded workers will appreciate – ones that don’t involve higher salaries. Keep in mind that 56% of employees say employee perks and employee benefits are very important when evaluating a job. Investing in the right employee perks can help you cultivate the culture your company needs to succeed, and will help your bottom line down the road. What are the best company perks that have transformed the way you work? Let us know in the comments below. There’s no doubt healthcare and paid vacation time are practically mandatory on every person’s list. Life balance is what will keep people happy and healthy, so flex-time is also important. Childcare and paid parental leave are becoming more and more a mainstream issue with recruits. Great Article Jeff! I must say that I am one of those people that prefers employee benefits/perks over a pay raise. Luckily, I work for an awesome company that offers many of the perks you’ve listed above! There is one perk however that I wish we did offer our employees, and that is tuition reimbursement. I am currently going to school part time and working full time. Often times I find it hard to pay tuition because of how costly it is. It would be so much less stressful knowing I could go to work full time while furthering my education. Thanks for the awesome article! Awesome Article! This is so true. 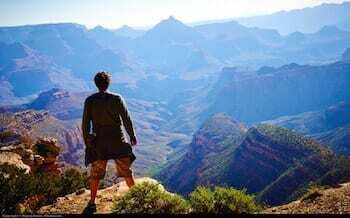 I know for me personally when looking for a position benefits specifically health benefits are a huge deciding factor. We like to offer these attractive benefits in order to gain the most valuable employees with a high retention rate. Sizmek’s employees love our game stations and work from home capabilities. We have all sorts of video games plus a ping pong and foosball table, corn hole/bags, and board games set up around the office. These are great relaxation breaks our employees are able to take. We’re lucky to have most of these at my office. Added bonus – we’re also dog friendly! A power nap in the nap room is 100x better with dog cuddles. Super interesting! Very lucky that we offer most of those perks! In my current situation, #2 “vacation”, is the greatest perk for our office. My job currently offers unlimited PTO and due to that, scheduling life hiccups becomes much easier. Also, we do not have to worry about using all of our vacation days at the end of the year. Well program is something i would be more than happy to get from my employer! When reading through the top perks, I realize how many of these our company offers-great news! I try to keep all the healthy snacks and drinks in-house as well, and they are for anyone to pop in and grab, we encourage it. I agree that work/life balance is one of the major perks in any company…we all need time to decompress and just “be” with our loved ones. It is interesting how perks have become more important than a pay raise. I am fortunate to work in an office that offers most of those perks. It seems that companies are starting to offer more to employees instead of increasing pay. I agree, some employers assume perks don’t matter, but they need to keep pace in order to stay competitive and retain their most important asset – their people. Thanks for sharing, Christy! Great article. Don’t know what I’d do without PTO! We have deadlines we have to make at my firm but we do not micromanage (huge plus!) – I mean, hey, we’re all adults here – and we have very flexible work hours. Nothing makes an employee feel more appreciated than working for a company that genuinely cares about them. While money is nice, it really makes an impact having full medical, dental, and vision and unlimited sick days – I know my company wants me to feel my best! Couldn’t agree more, Kelly! Our health, wellbeing, and peace of mind are priceless. Thanks for sharing. I can definitely see how many of these would increase happiness in the office! We’re in the process of getting a gym discount for our employees, and I think it will not only be a “perk”, but also boost productivity and office wellness! You’re absolutely, right Chloe! Gym memberships are one of the best perks a company can provide. The best part for them, is that they’ll be rewarded in the long run with higher productivity. I’m loving the term “work life integration”. I think it is so much more realistic in this age of technology, where I am expected to be accessible all the time and there is no such thing as “9-to-5”. As opposed to pretending like it’s feasible to turn off after going home for the day, better just to make work feel more a part of your personal life and vice versa! Agree, TJ! Let’s stop pretending like our work and our lives are separate. Our work is part of our life, and vice versa. Company perks are definitely nice because it says a lot about company culture in general. I definitely enjoy the PTO and floating holidays we get! It’d be nice to consider our company being sustainable as a perk too. We don’t really have that, but I wouldn’t mind money going towards that! That’s a great idea, Joanne. Is there a feedback channel at your company to let them know sustainability is important to you? 100% Healthcare Coverage is the greatest perk offered to employees. That IS a great one. Our health is priceless, and healthcare is a must. Fantastic article! I especially like the sabbatical perk. Thanks, Lisa! I agree, it’s such a good idea. I’ve seen it do so much good at so many companies. Companies need the “perks” to help pull great talent. PTO is one of my favorite along with have flexibility. I agree, Rachel. 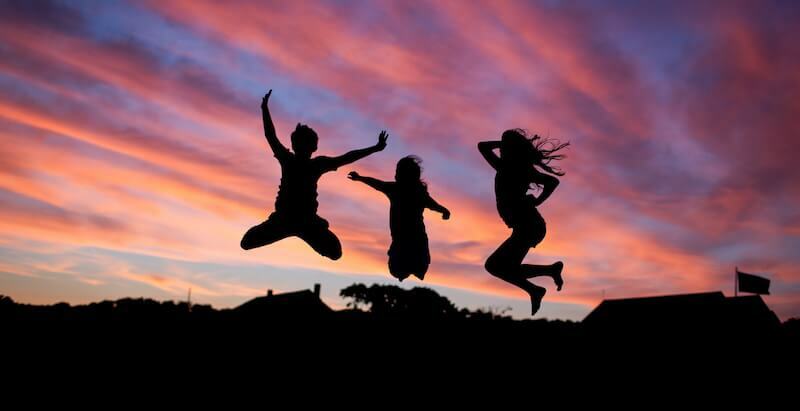 Perks are all about holding on to a company’s greatest asset – its people! Thanks for weighing in. Thanks Rebecca – couldn’t agree more! We’re a trucking company. Our drivers go to all 48 states and into Canada. Unless they have a pet, or the few cases where spouses drive as a team, they are alone most of their day. It is amazing how much it means to them when an office member lets them visit on the phone beyond a specific work-related topic. Realizing that really opened my eyes to how much employees are impacted by things other than their wages. That’s a really interesting anecdote and something I hadn’t considered – thanks for sharing, Courtney! Your company definitely has unique needs, what other things have you found improve your drivers’ morale? It’s fantastic to work for a company that offers most of these perks. Reading the article really makes me appreciate how awesome I have it!!! Awesome, thanks for sharing, Valerie! Anything your company does that we missed? Would absolutely love more time off! So easy to burn out when you feel like you have to check in on weekends as well. Definitely, Mika. I think that’s why it’s so valued, employees feel like they are always reachable and expected to be on call. Our office loves our unlimited PTO policy and doesn’t abuse it! They also love the in office perks like snacks from Snack Nation, and delivered meals, plus a huge fridge full of ice cold drinks. 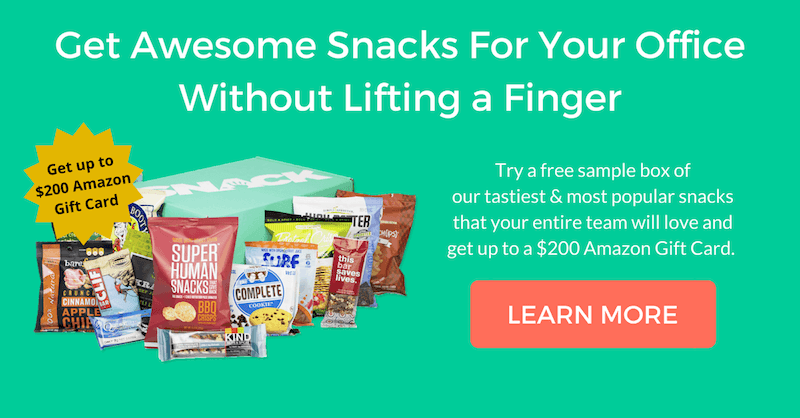 Awesome, so glad you love SnackNation! Question – what do you think is the key to making sure teams don’t go overboard with unlimited PTO? I think that’s what a lot of employers are worried about, and the reason they hesitate to implement it. Well I think the top three and are always going to be wanted by employees, I do see a large increase in employees looking for assistance in the area of personal health. For that reason, I think there will be a huge increase in gym memberships and wellness plans in the next 5 years. Totally agree, Ben. I think that employers are finally seeing the value. Love the posters but we’re more of a tongue-in-cheek kind of office. Sarcastic posters are more our speed. Working in tech in the Silicon Valley has spoiled a lot of people in our office. Most of the things on this list are almost categorized as a “must”. Absolutely. Valley culture has definitely changed the expectations for workers across most industries… we think that’s a good thing! Like many have said in the above comments, the top few perks listed have become mandatory and will only expand. I look forward to seeing in-office perks such as catered lunches, healthy snacks, and gym/wellness grow exponentially in the near future as companies realize their performance enhancing value. Totally agree – thanks for sharing, John. It’s been exciting to be in charge of the Office Perks and having the freedom to order healthier items to increase productivity and employee happiness. 🙂 Many of us work crazy hours so I’ve been enjoying changing up what’s in the kitchen. Awesome! So glad to hear it, Chantal. I am extremely lucky to work for a company with a robust healthcare plan as well as 401K, Parental Leave, and PTO. As someone earlier mentioned, tuition reimbursement would be the most amazing! We currently get paid training and development courses but I would love to get an advanced degree and company reimbursement would surely help that happen! Absolutely. Not every company can afford to do it, but those who can definitely see a return on investment. A really interesting read. Our employees are always looking for new perks and incentives to stay. Thank you, Jennifer! Hopefully you can implement a few of these ideas for your team. This is great information for our company. Thank you! Thanks, Stacey! Appreciate the feedback. Great article – our company offers unlimited PTO with the understanding that we are all adults and should be responsible with that perk. Having said that, there has never been 1 person who has taken advantage of that policy. Having a flexible work schedule this day in age is a must! Thanks for the feedback, Anita! I totally agree. I think employees appreciate it MORE when you treat them like adults/trusted partners in the business. It is nice to have these perks laid out, I always knew some of these existed, but it was nice to have them lightly detailed to get me familiar with them. Thank you, Sherry! Hopefully there are a few new ideas in there for you. Very fortunate that my company offers the majority of these. Absolutely, Josh! Love to see that more companies are getting it right. Thank you, Julie! Appreciate the feedback. 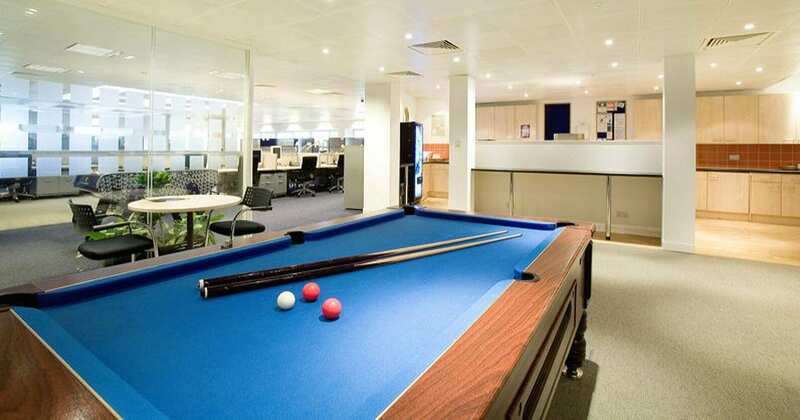 I feel that, some employees, don’t really have a grip of “office perks” – they don’t appreciate all the extras – healthy snacks, full-bar, video-games, lunch cater in, pool table – they see is as the company is obligated to offer those items. From the adm side of it, it can be frustrating as the company is investing hundreds of dollars per month and it’s not noticed. Giovana, thank you for sharing this point of view. In the escalating war for talent, some employees might feel entitled, and this can definitely be frustrating. One of the most important things you can do for your culture is reinforce the “why” behind all the perks you offer – the performance, bonding, and collaboration benefits that these perks provide. I really enjoyed this article. It’s eye opening and makes a lot of sense. I used to work at a big corporation where you had standard benefits and paid time off. Coming to a smaller tech company that has to be more competitive with perks. There is everything from snacks, drinks, permissive vacation, flex time, benefits, and options. These are all perks that I believe can be more appealing than a pay raise. Thank you, Lindsay! Really glad you enjoyed the article. The interesting thing is that larger more corporate companies are seeing the business benefits of these perks too. Thanks for sharing! Healthcare is so important as a perk that I wouldn’t consider companies that didn’t offer it during my job search. I also love general employee discounts, but my company doesn’t produce anything a typical employee could use. We have 1 or 2 employee discounts with other businesses (e.g. phone provider), but the selection leaves much to be desired. I wish there was a way to find and suggest other partner-employee discounts to our HR department! Excellent point, Anna, a quality healthcare plan is considered a necessity for most job seekers. And you should definitely voice your feedback to your HR department – I’m sure they want to offer discounts that employees actually want! Working on commuter assistance for my company – it’s a small perk, but for our urban locations it can be extremely helpful. Absolutely! Commuter assistance is so highly sought after because it improves people’s quality of life so much. After all, time is our most valuable resource – it’s the one thing we can never get back. Interesting read… I’d love to see the results if the poll question was asked in two parts: 1.) What perk do you currently have that you most value, and 2.) What perk do you not yet have that you most *wished* your company offered? I’d guess that lots of companies offer the biggies like health insurance (I hope!, and we sure love that we have that! 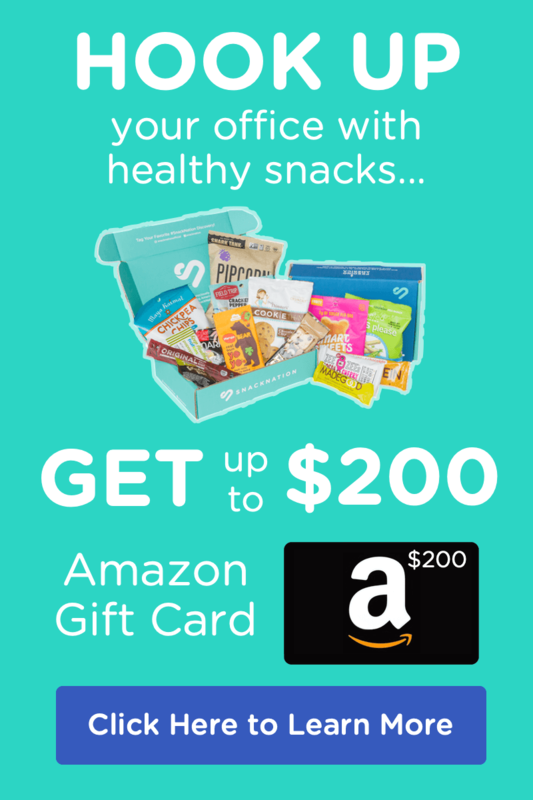 ), but man would we love paid parental leave… At least we have access to healthy snacks! You’re right, Erin, that would be a great question to ask! 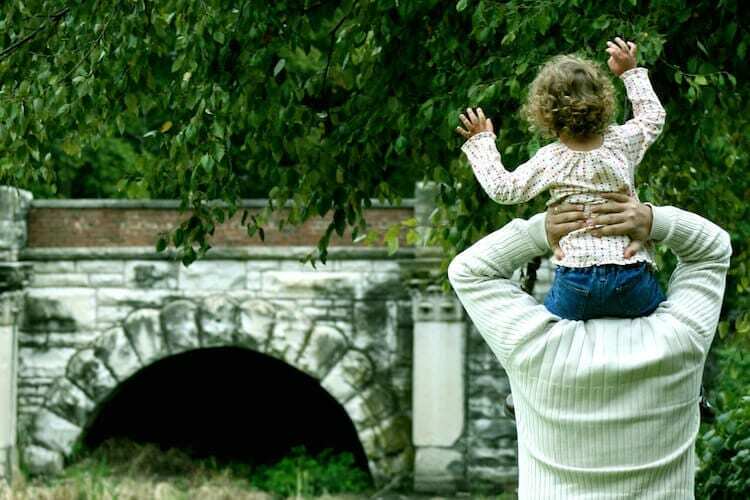 Is paid parental leave the #1 perk you wish you had? Extremely interesting & beneficial article – we’ve been doing benefits audits lately, & some of these perks are interesting! Like others, we are also looking into commuter assistance since this plays such a huge factor in today’s work day. Thanks for expanding on some of these topics, using this as a resource moving forward! You’re very welcome, Kayla! Very cool to hear you are doing a benefits audit – it’s the best way to determine what’s moving the needle and what isn’t! I am very lucky to work for a company that offers almost all of the perks you listed in your article, and this is a company that is a little over 2 years old which makes it even more amazing that they offer their employees so much! We have benefits, 401K, Paid vacation and sick time, flexible schedules and that’s just to name a few! They regularly give praise for a job well done and hold company paid team lunches once a week. We are also a dog friendly office as well! That’s great to hear, Kathy! Always good to see companies who get it. What’s the most impactful perk in your opinion? I agree with this article completely, my only question is how to get things like this started!? For a small company which has been around for five years (a long time in the startup world) it’s been a challenge to bring change to the current office climate. Trying to get people to participate and to establish some new traditions is a work in progress and these are some great ideas/perks! Great point, Whitney. Often, you need buy-in from leadership. They set the example, and employees will follow their lead more often than not. They need to demonstrate that (1) it’s ok to take advantage of the perks (seems obvious, but often employees feel like they can’t “really” take more than 2 weeks vacation for example), and (2) that these perks are beneficial. I know a few of my employees who would love to work from home! We are fortunate to have Unlimited PTO, free snacks and drinks, and team activities. Great ideas! Our company offers benefits, Vacation and PTO. Two years ago we started a wellness program and won a silver award level award this year for healthiest worksites from FCWWC! 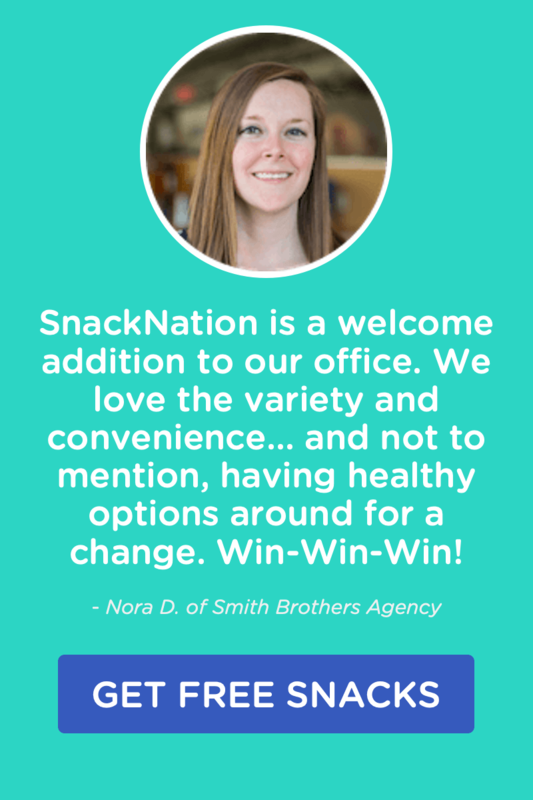 As an extension of our wellness program, we’re offering Snacknation and the response has been great! I’m a bit jealous of Judi’s comment – I wish we had unlimited PTO! We don’t get allotted too many days, but we get all Federal Holidays off, which is a nice touch. We don’t have anyone here who focuses on improving company culture, so I kind of took the task into my own hands. My first idea was becoming a member of SnackNation, and it’s gone really well so far. Everyone loves the snacks, and looks forward to seeing what will be in the next box. I’m still trying to come up with more ideas to keep the happiness flowing, and this article definitely helps. Thanks! I am lucky enough to work someplace where most of these are offered. Our company has several of these and looking to incorporate more. We’ve been through some growing pains and leadership changes as a start-up, which has left am interesting culture to try and improve upon. Work-Life balance is essential to the health of our employees and company culture. We want to make sure every team member is happy and healthy, so we make sure no one is reaching their breaking point. If we notice that ever happening we take action to support/help their work load accordingly. Vacation, sick, and personal days are always appreciated by the staff. I have also noticed they enjoy the little things: lunches, snacks, and company outings. Interesting, you see allot of articles these days claiming the opposite. The take away is the type of perk really matters. I’d rather have more perks at the office than a raise anyday! More people are sacrificing their health for more money. The perks will help increase happiness and productivity in the office. Very Important! I can’t imagine people that would rather have higher pay then some of these perks mentioned. I just wish these perks would be much more commonplace in the office. Kind of sad that many employees don’t offer most of these. Glad my company offers some good perks! Opportunity to earn a performance bonus a really nice perk! It’s is almost sad to see people who would rather a raise then something like these ideas that will bring them substantially more happiness. I personally would much rather be happier than a small raise, but it is not such an easy choice for others. These are all really great perks. I wish every job came with them! I’m lucky to work for a company that excels in most of these areas! I work for state government, and what has absolutely saved my bacon is their state employees’ (and families) medical clinic. We pay for nothing as far as general healthcare. Free screenings, lab work, x-rays, and prescriptions. It’s better than a raise! I would never get the amount I’ve saved in health-care costs in one year, in the typical annual merit raise. Bonuses is a big one for me. I think the way bonuses are handed out is important as well. 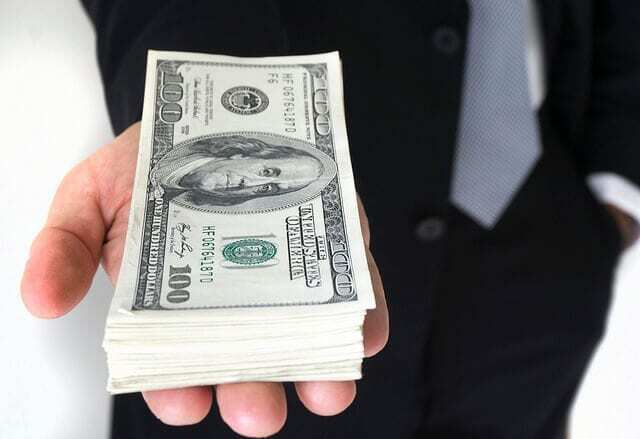 Obviously, nobody is going to complain about getting cold, hard cash, but younger employees may actually love to receive experiential bonuses. For example, they may want to get an extra week off work and a trip to Rome to do an authentic Italian cooking course, or they may want work to sponsor them on a Spanish language course. Bonuses don’t always have to be cash. Try implementing a rewards program like bucketlistrewards.com for more of these experiential bonuses. Our company has about 2/3 of these perks in progress. I’m like you Christina, trying to keep the office happy and motivated by starting with SnackNation. So far, I’ve been receiving positive feedback. You’re not going to please everyone, but if I can get most of them…then it’s working. Thanks to SN for the great information you provide to us all.